Clé de Peau Beauté may share the personal information that you provide us with the Clé de Peau Beauté's affiliates. Clé de Peau Beauté may also let other non-affiliated third parties use your personal information for the joint marketing and promotion of products, services or events. Clé de Peau Beauté, its affiliates and its business partners (if these companies share the personal information) handle the users' personal information with due care and enhance the contents of this website. On this website, Clé de Peau Beauté protects the personal information of children in the same manner as that of adults. 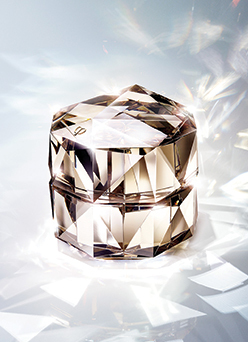 When disclosure of personal information is required by law or otherwise reasonably determined to be required, Clé de Peau Beauté may disclose the personal information. 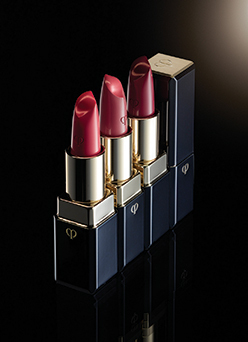 However, Clé de Peau Beauté will not disclose personal information for any reasons other than the followings. (1) To comply with a request made by a governmental institution against Clé de Peau Beauté and this website. (2) To protect or defend the rights or property of Clé de Peau Beauté's employees and users. (3) To take emergency actions to protect the physical safety of Clé de Peau Beauté, users or the general public. (1) When there is a website crossing over several pages of this website and such necessary information is temporarily recorded in order for users to use this website conveniently. (2) When Clé de Peau Beauté or a company consigned by Clé de Peau Beauté conducts survey analysis of the access trends of users on this website in order to provide better service through this website. Although Clé de Peau Beauté does its best to protect the personal information of the users on this website, for websites linked to this website which are not managed by Clé de Peau Beauté, Clé de Peau Beauté is unable to manage users' personal information. Those websites may collect your personal information directly or collect personal information from your comments on message boards, and you will be responsible for carefully handling your personal information regarding such websites. We will enhance and improve our handling of personal information of our users as is reasonably necessary.